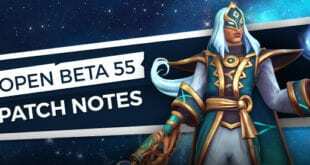 A new patch was released for Paladins! 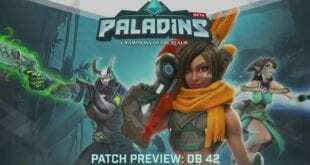 Let us see what the new OB40 patch offers us. 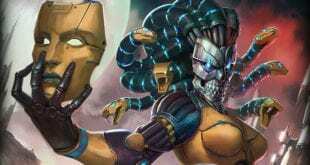 This patch includes new Champion which is Tyra “The Untamed”. Her LMB fires one shot at every 0.09 seconds dealing 120 damage. RMB fires a grenade dealing 700 damage in a small area of effect. Her Q Ability it’s called Fire Bomb and which throws incendiary device creating a pool of fire for 6 seconds. The enemies that stand in that area and contact the fire will burn for 9% of their maximum health over 0.6s. If they contact it again the effect refreshes. E ability or Crossfire gives her 40% attack speed and movement for 4.5 seconds. Also, firing doesn’t consume ammo at all while active. F Ability or Hunter’s Mask marks an enemy for 6 seconds and will be revealed and also take 15% increased damage from Tyra’s basic attacks. A lot of champions have been fixed. Viktor, Cassie, Drogoz, Fernando, Kinessa, Pip, Skye, Tyra. Also, a lot of items that are exclusive or limited now have an improved presentation to make their obtainability clearer. While in the Store, models can now be rotated while being viewed. Ultimates are now blocked and cannot be used before the round begins. Payload issue has been fixed and items will now show correctly displayed and owned after the round restarted. Stealth is not removed when a stealth player is stunned. Damage increases are properly affected after damage falloff. There is no more issue with the fourth boosted item in a Radiant chest. Fixed issue where the button “Go To Chest” wouldn’t direct players to the correct chest and also the button was not appearing correctly in store details. Fixed an issue where the store filter “Available” wouldn’t correctly filter items. New rarity border on items in the Store and Champion Customize screens. Added a new camera blur when unlocking chests once items appear to improve readability. First person health bar now flashes red when taking damage and also being on low health. Added silhouettes to Barik Turrets, Bomb King bombs and Kinessa Mines. Increased visibility of Hit feedback on Enemies. Jaguar Falls map received new Visual Update. Accursed Arm Explosion damage now falls off towards the edge of explosion. Also, an issue where androxus arm stucks when activating Accursed Arm has been fixed. His Revolver damage has been even more reduced. Now, he’s dealing 600 instead of 620. Cassie’s Crossbow damage is now reduced from 700 to 650. Yes, she’s not using a bow anymore. 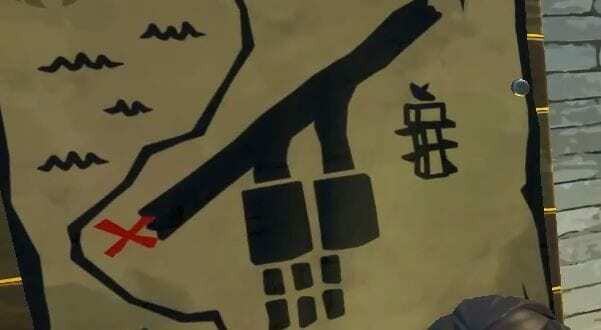 Instead, she’s using a crossbow. Evie’s Ice Staff Deals reduced bonus damage after using Blink from 30% to 20%. After a long time, Grover has been buffed. Let’s make this champion great! In general, his health has been buffed from 2700 to 3000. His weapon damage is increased from 350 to 400. The Damage scaling over distance is adjusted to end with the same damage at max range. Mal’damga’s Gourd’s no longer fails to deploy in some areas on some of the maps. Evil’s Mojo projectile now both travels through shields and hits targets through them. In General it has been fixed an issue where some visual effects were still there after using abilities before mounting. Impaler arrow receives first person camera visual effects when the target is stunned. Skye probably received a lot of changes. 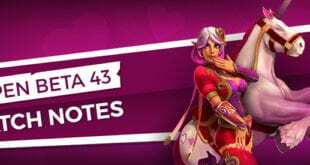 Skye’s health has been nerfed from 2000 to 1800. Her Poison Bolts projectile hit detection is with an increased radius by 100%. Wrist Crossbow minimum accuracy is increased from 84 to 90% and the accuracy lost per shot is reduced from 2% to 1%. Hidden spell issues has been fixed when the stealth material not appearing incorrectly. Fixed Skye’s hair retaining visual effects after hidden expires. The tooltip is also updated to correctly show that Hidden applies bonus movement speed. Skye’s Cards has also received some tweaks. Ninja adds movement speed on top of the base Hidden Movement speed rather than setting it to a new value, which pretty much means it stacks now. 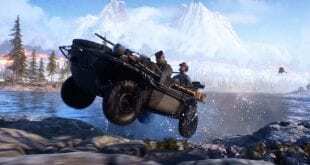 However, the movement speed bonus has been reduced from 15/30/45/60 to 8/16/24/32%. 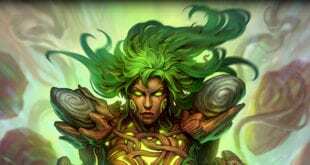 For more detailed info about the patch and Tyra’s cards visit this link. Hi-Rez Studios has been working hard for all the Paladins Lovers over the last period. They continue to improve the game even more.